Here is what my house looked like at the dinner we held for my moms community members.. We worked really really really hard over everything from food.. to the way we looked …to our place.. 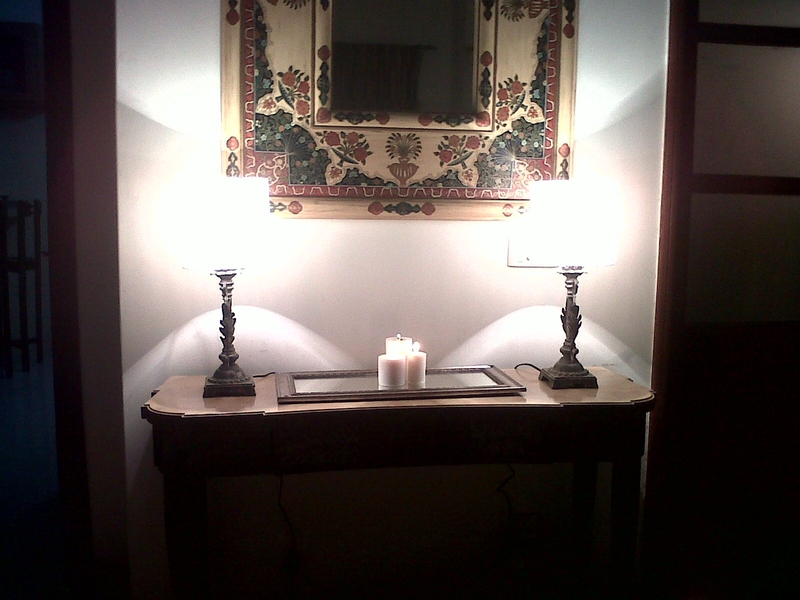 This is the console in the entryway.. Its a beautiful Chinese crafted mirror and console piece.. 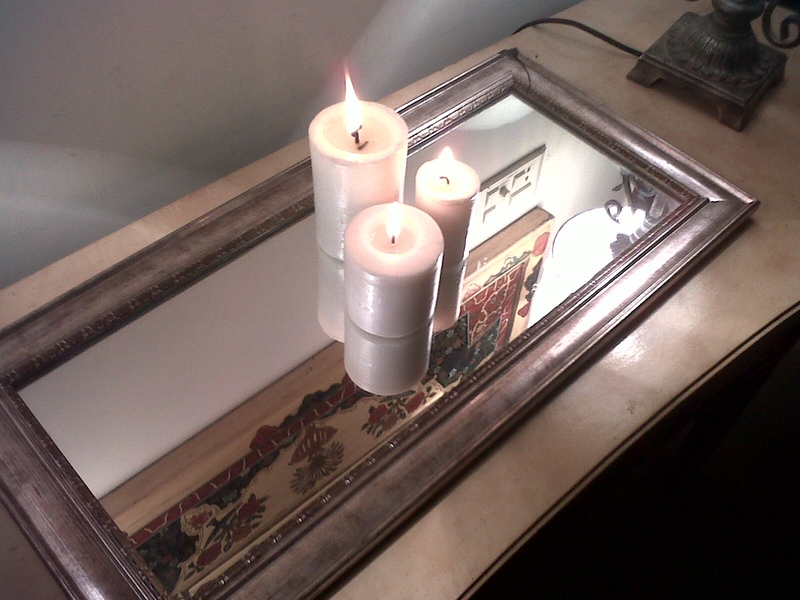 I used two wrought iron lamps to zing it up. 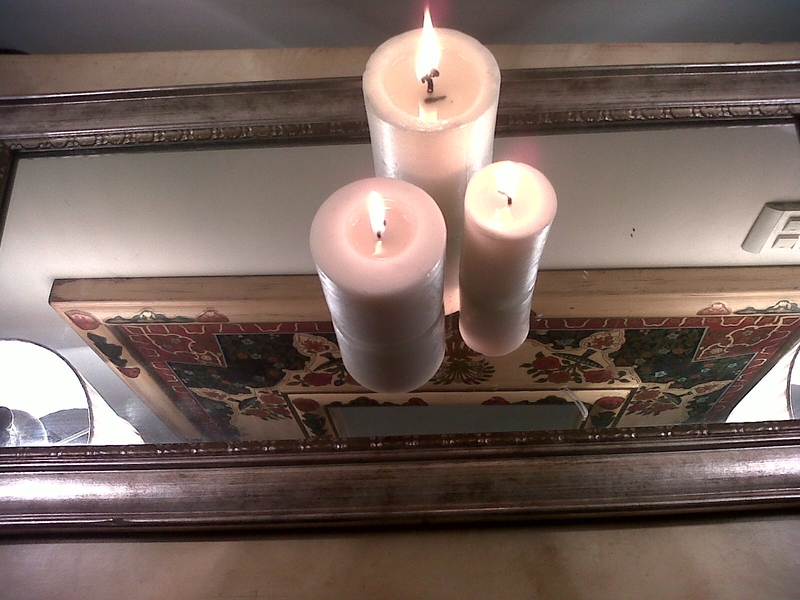 I used the mirror to hold the candles and it worked pretty well.. 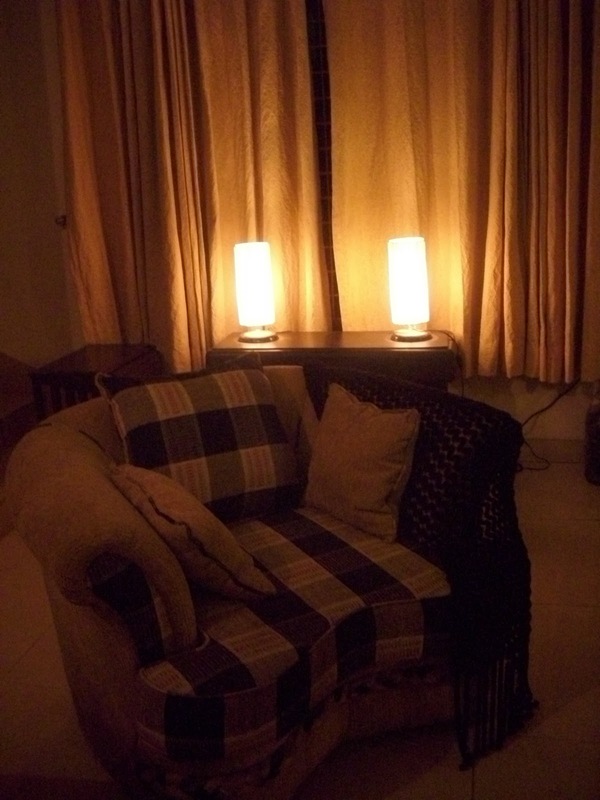 This is the upstairs sitting area. The painting is a block printing panel and the clock is the thing my mom and dad bought for their room after marriage.. Its a pretty basic black clock.. the lamp was my sisters weaving project.. and the beauty of it is that it holds two bulbs facing downwards and upwards.. spreading more light and creating better effect.. I bought these mats from Thailand. They are a beautiful combination of bamboo and elephant motif lace! They are my favourite piece on the table. The china is my moms lovely china. I love the pattern and the color of these plates. This is another table scape I created on the center table in the Drawing/Dinning area center table. The deep red cushion covers were last minute slip covers crafted out of the Greek bordered panels I created as the backdrop of my dessert table.. I wish I could find the purple ones too.. This is the better view of the jhola.. 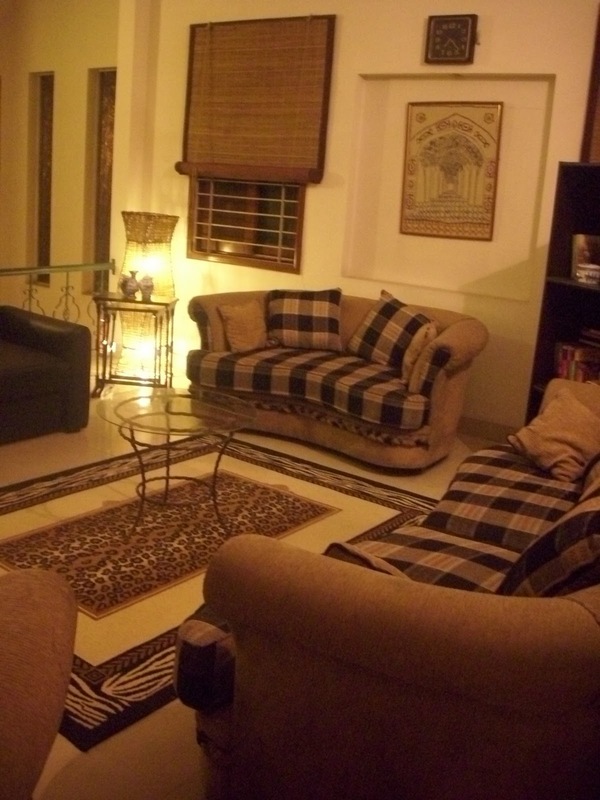 The center table as well is beautifully crafted. This is the entire view of the room.. I wish I had taken the better view of the art on the walls coz they are my fav pieces.. and I wish it wasn’t blurred like this!! This is my moms place.. I need to nudge nudge nudge myself to sharpen my photography skills coz as I am going through these pieces.. I know how many more lovely angels I am missing out and that I need to share.. But this much for now.. Thank you so much for stopping by and for sharing your home tour with me. I think you have such a unique style and lovely taste. I really am enthralled with the fun swinging chair…it has such detail!